Middle East team is strengthened with the addition of two bunker traders and an accountant. 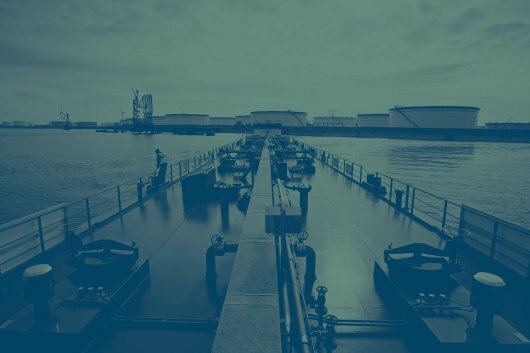 Dynamic Oil Trading, a global trader of marine fuels and lubricants, has announced a series of appointments at the company’s recently launched Dubai office, amid continued expansion of the firm's Middle East operation. Bunker traders Leonore Lagendijk and Mirko Antichi, as well as accountant Sheila Oller will join Dynamic Oil Trading's Dubai operation with immediate effect. Lagendijk comes to the role with three and a half years' trading experience, having previously held trading jobs at O.W. Bunker Middle East DMCC and BP. Antichi joins Dynamic Oil Trading from Chemoil Mondex's Monaco office, where he worked as a bunker trader for five years. The appointments come as Dynamic Oil Trading continues to recruit experienced and knowledgeable traders for the Dubai operation, which was launched in September 2013 as part of the company’s worldwide growth strategy. Director Jesper Jervild, who joined the firm last year after 22 years at O.W. Bunker, heads up the Dubai office. Commenting on the appointments, Jervild said: "These new appointments add considerable weight to our rapidly expanding Dubai team, strengthening our global operations, and supporting the growing demand from customers for our services that helps them meet their increasingly challenging fuel procurement needs. Having already gained a wealth of experience and contacts from their time in the bunkering industry, Leonore and Mirko will be great assets to Dynamic Oil Trading, one of the fastest growing brands within the bunkering sector." Lars Møller, CEO, Dynamic Oil Trading, added: "As we continue to grow, recruitment is a significant focus for the business, and in line with these ambitious plans, we are looking for additional talented, goal-orientated traders interested in joining our ambitious Dubai team." People interested in joining Dynamic Oil Trading's Dubai team should email hr@dynamicoiltrading.com.